Thor Hansen was born on 23 June 947 in Norway. Thor Hansen is professional player of poker. Thor Hansen won 2 bracelets in WSOP main events and he won 46 cash prizes in different WSOP poker tournaments. Thor Hansen won 4 cash prizes in World Poker Tour tournaments as well as he won 2 cash prizes in European Poker Tour Tournaments. Thor Hansen won his first bracelet in $5,000 Seven Card Stud poker event of 1988 and earned cash prize of $158,000 in that event. He won second bracelet in Five Lowball Hold’em event of 2002 and got cash prize of $62,600 in that event. Currently he is ranked as 272th place in All Time Money List. In 2014 his total of tournament winning becomes $2,932,309. Thor Hansen earned 26th place in WPT $10,000 Hold’em event of 2005 and won cash prize of $ 18,296. He got 38th place in WSOP $1,500 Omahaevent of 2005and earned cash prize of $2,895 in that event. He finished in 13th place of WSOP $1,500 Seven Card Stud poker tournament and won cash prize of $6,515. Thor Hansen reached to 3rd place in WSOP $1,000 Hold’em event of 2005 and he earned cash prize of $55,790 in that event. He earned 3rd place in $300 Hold’em event of 2005 and got cash prize of $29,025 in that event. He won total 13 cash prizes in all types of poker tournaments of 2005 in which he won 4 cash prize alone in WSOP tournaments. Thor Hansen reached to 2nd place in LA Poker Classic $1,455 Hold’em event of 2006 and he earned cash prize of $81,275 in that event. He earned 56th place in WPT $25,000 Hold’em event of 2006 and won cash prize of $43,935. Thor Hansen reached to 2nd place in WSOP $3,000 Omaha event of 2006 and won cash prize of $155,413 in that event. He is quiet good player of poker. Thomas Cloutier is born on 13th Oct 1939 in California. He is one of the oldest players of poker. He is currently living in Texas. He got scholarship football as well as basketball during his education. He had also interested football and basketball, but he stopped education because of financial problems in family. He played many football matches but injury made his career in football for a very short period. After leaving football team, he started his own food company, but it did not become famous so finally he shifted to Texas. When he realized that he was able to earn more money by playing poker instead of working then, he had started playing poker and became a professional player of poker. He is only one player of poker who won all types Omaha in WSOP. He won six bracelets in the WSOP events as well as he won many titles in other poker tournaments. 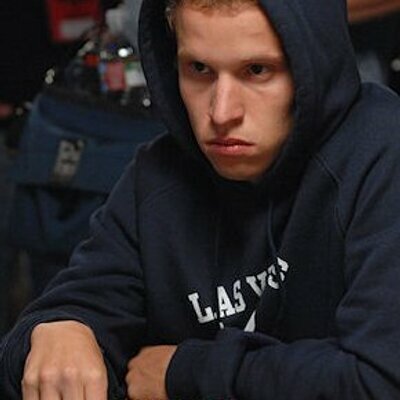 He was placed four times in top 5 poker players of WSOP poker events. He finished in 2nd place two times of the WSOP Main event in 1985 and 2000 where he has beaten by Bill Smith and Chris Ferguson. Cloutier is 2nd player who finished a total of 39 times at the final table of the WSOP Main event. In World Poker Tour event of 2003, he finished in 3rd place. Till 2004, his total of winning cash prize exceeded $10,000,000 of which he won a cash prize of $4,362,048 alone in WSOP events. He finished in 5th place in the WSOP Main event of 1988 and in 3rd place of the WSOP main event of 1998. In 2005, he won but this was his last winning, and 6th bracelet and he also had earned a cash prize of $627,100 in WSOP Hold’Em event. He cashed total 60 times of WSOP main event. He cashed 9 times in World Poker Tour and only one time European Poker Tour. He is one of the most successful player of poker. Yevgeniy Timoshenko was born in Ukraine in the year 1988. When he was eight years old, he shifted to America. It is when he learned a lot about poker games, and soon he was fond of the poker’s popularity and culture in America. He won the World Poker Tournament in the year 2009 where he won a cash prize of $2,149,960. He made $500,000 by winning ‘Asian Poker Tour’, which has conducted in the year 2008. He finished third at the ‘World Series of Poker’ main event, 2008. It was the first time when he cashed in WSOP. He secured 22nd position at main event of WSOP of the year 2013 and managed to grab a total of $285,408. He participated in Hold Them Up event of the year 2011 where he finished 2nd at the final table and earned a cash prize of $525,980. In the following year, he managed to secure fourth position in the Hold Them Up event along with the total earnings of $206,348. He won the Super High Roller title in the year 2014 and won a huge cash prize of $100,000. He has managed to earn more than $6,490,000 from the poker games by the year 2014. He is also interested in online poker tournaments. He earned the cash prize of $1,715,200 by winning the World Online Poker Tournament held in 2009. He has secured more than $75,000 of cash prizes by winning ‘Weekly Hold Them Up’ games on the ‘Full Tilt Poker’ website. He has earned a total of more than $4.7 million from online poker events only. He has finished at final tables of WSOP for a remarkable figure of three times. He has cashed in for 10 times at the WSOP main events. He is mostly interested in online poker tournaments. And he is one of the best poker players in the world.